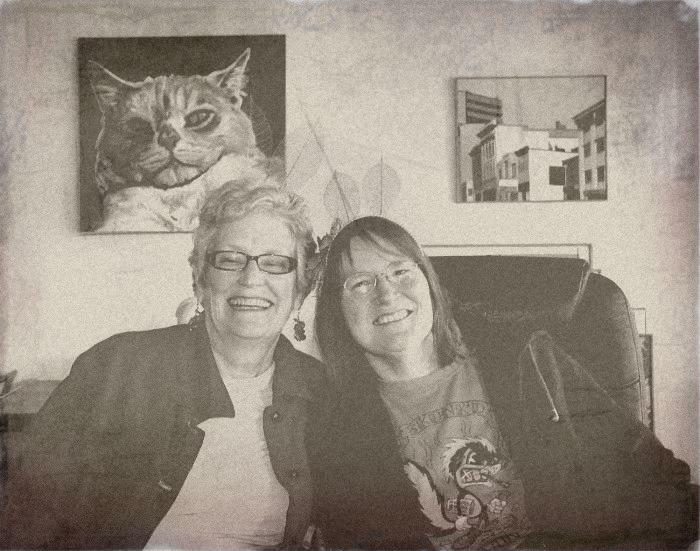 Every so often I have to post an oldified image so I can keep track of the kewl online oldifier HERE. That's Enjah and Osprey last summer. My Fidget painting is behind us. We are wearing moth feelers. Note: That was in July. It is now January and I'm wearing essentially the same garb (different T shirt, same NBN hoody). I am making an old-ified pic from a photo I took of a magnolia tree in our neighborhood ... posting it shortly.